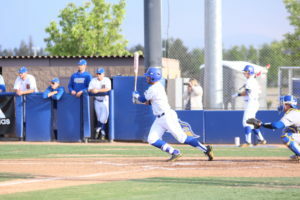 A day after scoring seven runs in the bottom of the eighth to complete a come-from-behind win over Grand Canyon University, the CSU Bakersfield baseball team could not muster another comeback in an 8-5 loss in 10 innings on Sunday, May 6 at Hardt Field. Junior Zach Malis homered three times in the win for the Western Athletic Conference-leading Antelopes, including a solo shot to lead off the top of the tenth inning. He finished 3-for-4 at the plate with four runs driven in and four runs scored. He homered in the first, third and tenth inning. Grand Canyon (27-19, 14-4 WAC) added two more in the tenth with a two-run single off the bat of sophomore Quin Cotton as the Antelopes won the series by taking two out of three. 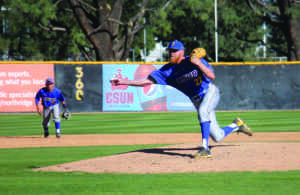 CSUB sophomore right-hander Isaac Meza started and went 5 2/3 innings with five runs allowed (four earned) on seven hits and two walks. He struck out four and hit a batter. Meza also gave up two home runs to Malis as he did not factor into the decision. 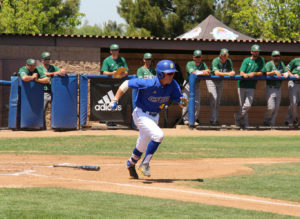 Trailing 5-3 in the bottom of the seventh, the Roadrunners (17-29, 7-11 WAC) added a run when senior Andrew Penner drove in junior Noah Barba on a groundout. In the eighth, freshman Trent Anderson singled to right with two outs. 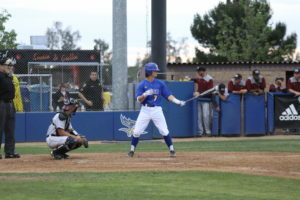 He then stole second base and scored the tying run on a single up the middle by junior Jake Ortega. 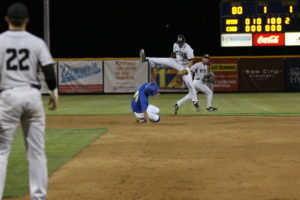 Ortega was then picked off at first base by GCU pitcher Mick Vorhof to end the inning. Sophomore pitcher Aaron Charles, who relieved Meza, worked 2 2/3 hitless innings. He struck out three and walked three. Charles was replaced by redshirt-junior Kyle King in the ninth after back-to-back walks. King retired the next two hitters to escape the jam and preserve the tie. King fell to 1-4 on the season after giving up the tenth inning homer to Malis and allowed another two to cross in the tenth. 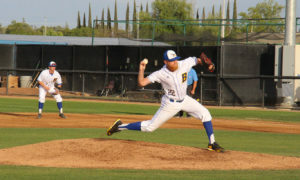 Vorhof earned the win after pitching two scoreless innings. He improved to 3-2 on the season. 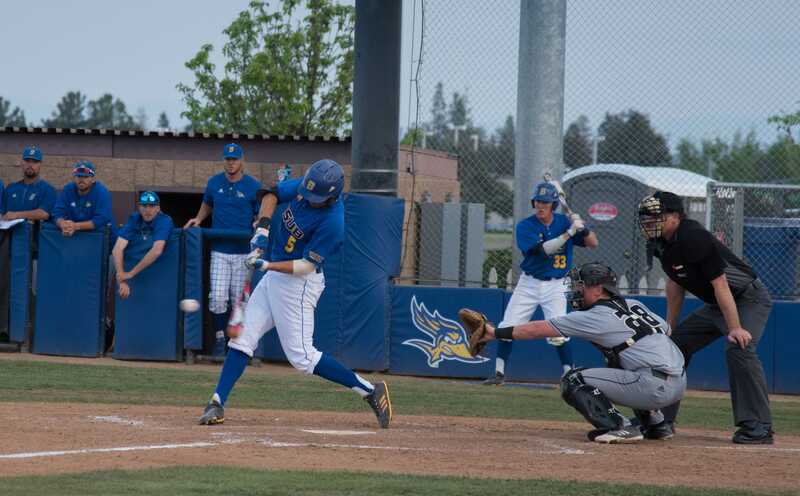 After the Antelopes opened the scoring in the top of the first with Malis’ two-run shot, CSUB leadoff the first with three straight singles. Junior Ryan Koch and senior Luis Martinez followed with back-to-back sacrifice flies to tie the score. Martinez also hit his team-leading fourth home run of the season in the fourth, which tied the game at 3. Penner finished 3-for-5 with a run batted in on the afternoon. 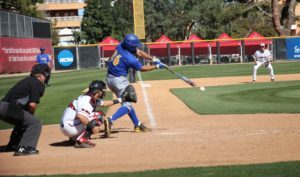 Up next, the Roadrunners are scheduled to take on Loyola Marymount University on Tuesday, May 8 at 6 p.m. at Hardt Field. LMU defeated the Roadrunners 4-1 in the teams’ prior matchup in Los Angeles on April 24.